I've heard people say they like the look and color variety of Washi tape, but they don't really know what they would use it for. 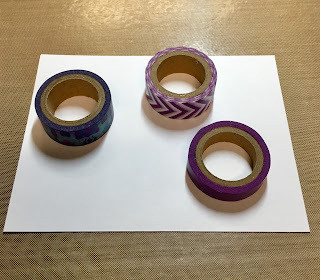 I use Washi tape fairly often. Here is one idea you might like for using Washi tape... a card background! 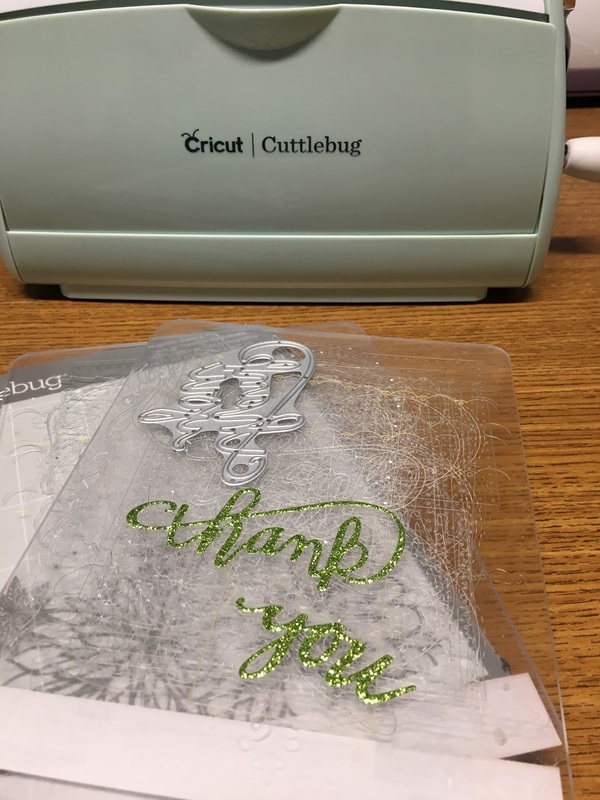 First I used my Cuttlebug to die cut my sentiment for the front of the card. 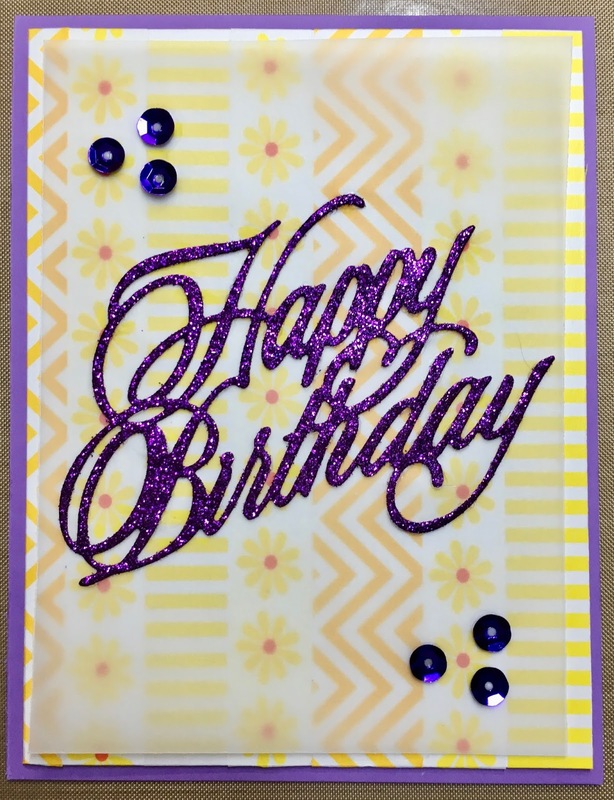 Then I simply took a white piece of cardstock, cut to 4" x 5.25" and covered it with a couple of different designs of Washi tape. 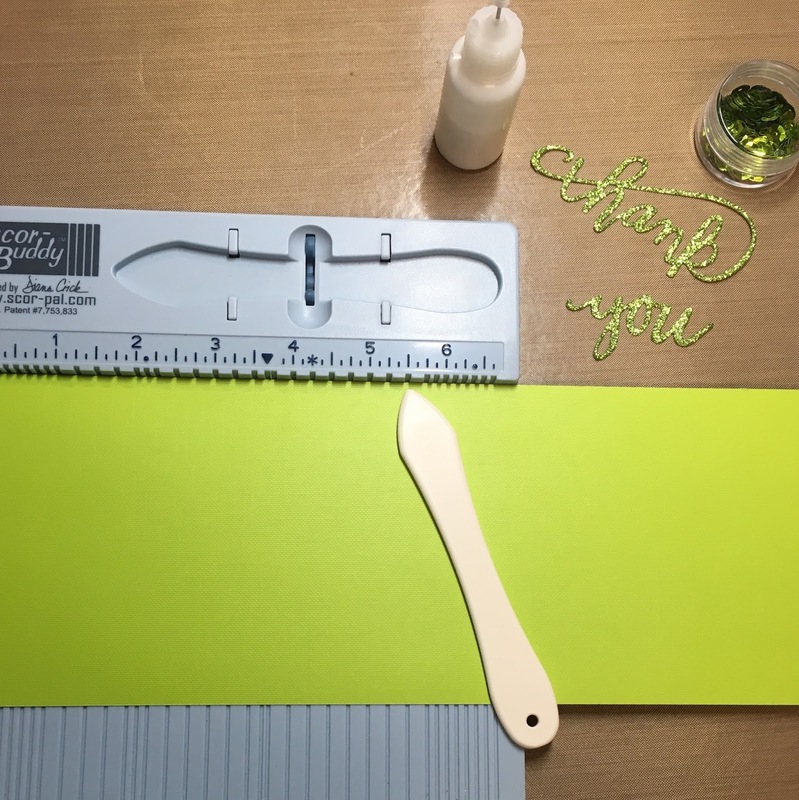 Next I selected a complimentary color of cardstock (in this case green) and cut a piece 4.25" x 11" for my card base. I used my Scor-Pal Scor-Buddy Mini Scoring Board to score a fold line at 5.5". 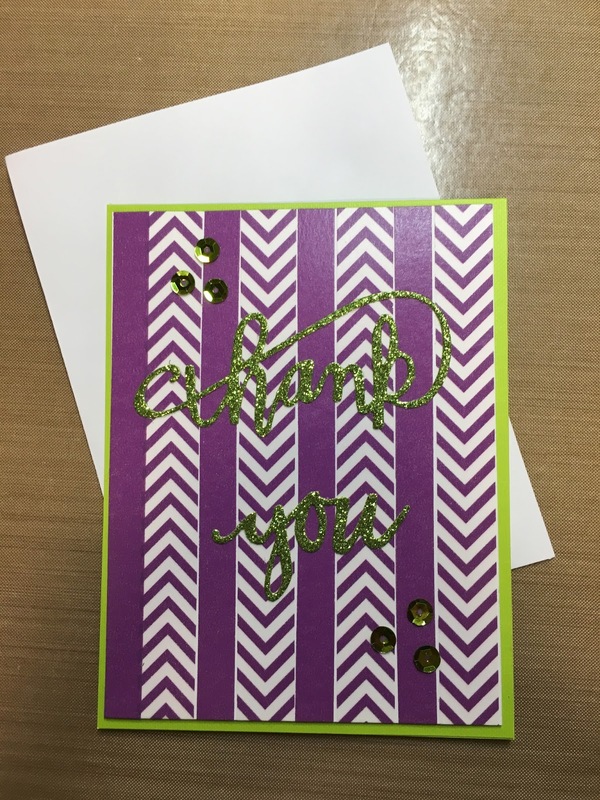 Lastly, I glued it all together, added some sequins for bling, and my card was ready for my personal note and then off it goes in the mail. 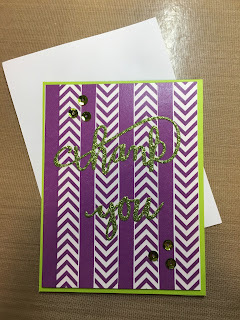 This one is a simple design, but it still shows you cared enough to make a unique handmade card for the recipient. Here is another card, basically the same idea, but I added some vellum to this one. After making the first card I got to thinking that the green glitter paper "Thank You" would perhaps have shown up better with a piece of vellum behind it. 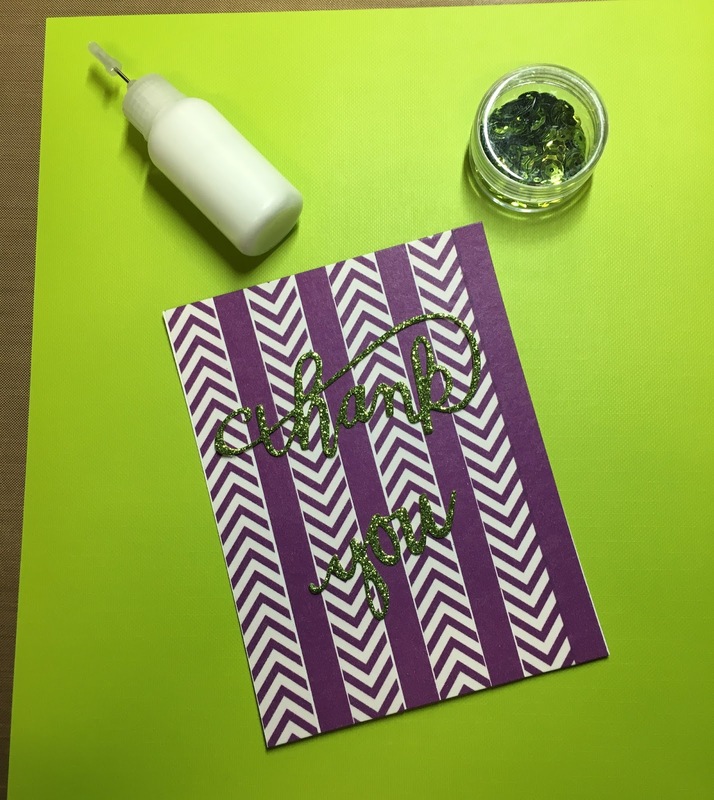 I use Washi tape for lots of other designs in both card making and scrapbooking, but this is probably one of the most simple of uses. I hope it gives you an idea or two of what YOU might want to create with it.